The Trent International Program had their Christmas Open House just two days back. As luck would have it, we missed it, because surprise, we had work! But in the spirit of the season (we spent the entire last night listening to Christmas carols and singing along, with the wind howling outside and the snow coming down heavily), I am going to post up my Christmas Wish-List! Shaffer, D.R., Wood, E., & Willoughby, T. (2005). 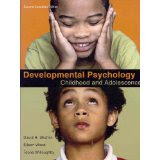 Developmental psychology: Childhood and Adolescence (2nd Canadian ed. ).Scarborough, ON: Nelson/Thomson. 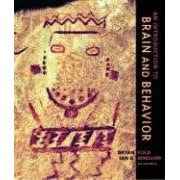 Textbook for my Child Psychology class...Whopping CDN$ 160.
edition). New York, NY: Worth Publishers. Having used it to claim marks this year, I am beginning to see its use! Daphne: "But professor, Section 3.1.9 says that I can use that punctuation". Professor: "Daphne...Are you challenging my marking?" Daphne: "The bible says so, so erm...yes???". Professor: *Laughs* "Ok, you're right. My mistake". Daphne: "Professor, can I borrow that APA manual?" Professor: "Sure. What are you looking for?" Daphne: "I think my TA marked me incorrectly. See, it says in Mitchell & Jolie (concise, student version) that I should italicise this phrase"
Professor: "Let's check the bible then, although I believe you are right"
Professor: "Woohoo! You are going to be very happy because you are right! Go and see your TA!!!" We're all busy writing lists for fun here. Not that anyone will actually get what's on their list from someone else, since we're all equally broke, but hey, it's fun! So, what's on your Christmas Wish List? Young lady, you are supposed to ask for jewellery and clothes for xmas!! Not books!! Such an old soul you. HAHAHAHA!! I had a good laugh at the conv with your profs. Reminds me of my days in uni. Thanks for sharing!! you got 3 books in your wish-list. i'd wish for a return flight ticket to California just for the sun...and the holywood chics! ^ eh, can you make cendol out of the snow ah? A very good Christmas wish list... May it come true for you. WOW... those books are seriously going to cause one big dent on your pocket! Have a good Xmas hol...hope ur poor skin will get better. Just continue moisturizing like mad! My wish wud be a quiet and safe Xmas. That's all. No dramas, please.